TTI Floor Care North America consistently launches new Dirt Devil, Hoover, and Oreck products. Knowing that new products have little time to prove success before earning widespread retail distribution, TTI sought a way to gather and display customer reviews on day to drive early sales. Launch products and generate sales quickly. Used Bazaarvoice Sampling to get new or important products to customers to review. Launched products with pre-populated reviews and significantly increased review volume and average ratings of important products. In the three months prior to sampling, 56% of reviews of Hoover products were positive. As the owner of the iconic brands Hoover, Dirt Devil and Oreck, TTI Floor Care North America consistently launches new products. With high-consideration products like vacuums, customer reviews have a large impact on sales. Knowing that new products have little time to prove success before earning widespread distribution, TTI sought a way to gather reviews before a product’s release and to have those reviews displayed on day one. Prior to rolling out the Bazaarvoice Ratings & Reviews program in 2012, the company had a far less robust platform for reviews. There wasn’t a strategy for acquiring reviews, says Jim Deitzel, Director of Digital Marketing, TTI Floor Care North America. Consequently, we had very low review volume. And when we had low ratings, we were aware of it, but had no strategy for taking action on it. The company turned to Bazaarvoice Sampling to support initial sales during this critical time by harnessing quality consumer-generated content and launching new floor care products with reviews already in place. As we launch new products, its a no-brainer that for every product we launch, we get them into the Sampling program, says Deitzel. 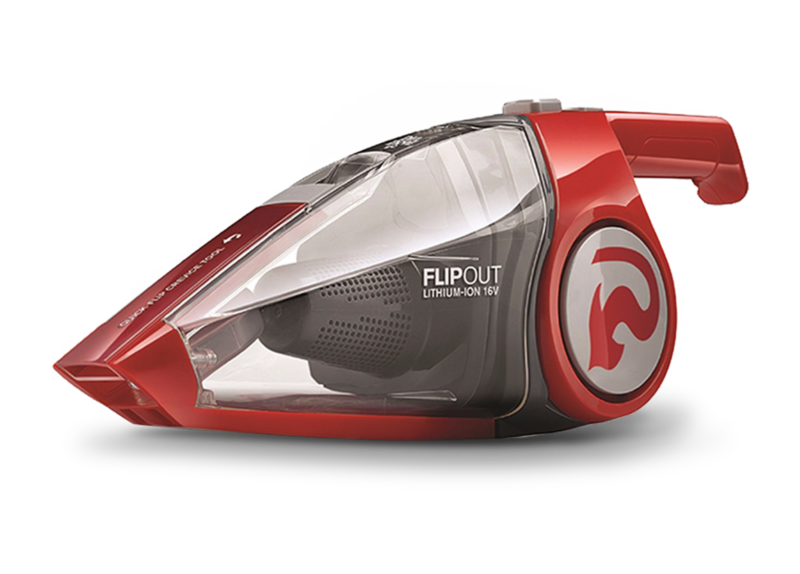 Many consumers don’t take great care of their vacuums or similar products, so they often only write reviews if it breaks. To address this, TTI needed to quickly collect a high number of reviews. TTI first invited Hoover and Dirt Devil brand loyalists to join their sampling program. The company then sent those members a new product and asked for a review. Of those who received a product, 86% submitted a review, resulting in more than 700 reviews on the brand site in just a couple months. These reviews were also syndicated to dozens of major retailer sites, resulting in thousands of new reviews where a majority of their sales occur. Products are also launching with high overall average ratings. In the three months prior to sampling, 56% of reviews of Hoover products were positive, with an average overall rating of 3.2 stars. 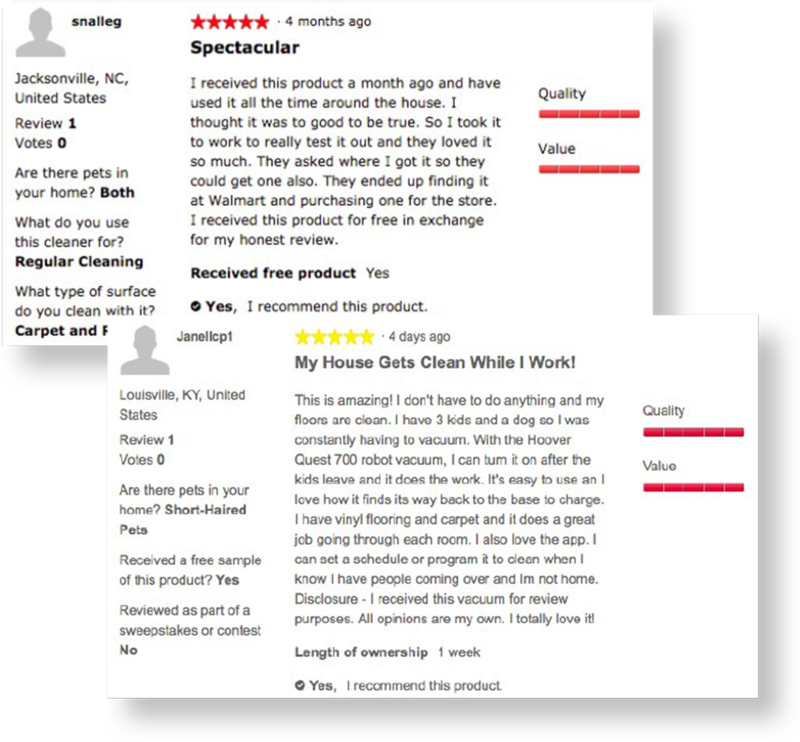 In contrast, 97% of reviews of sampled Hoover products were positive, with an average overall rating of 4.7 stars. 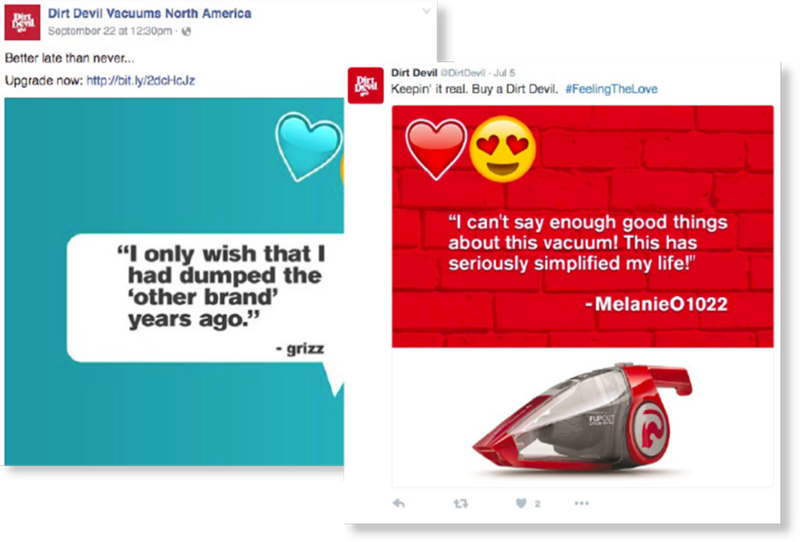 Dirt Devil experienced similar results, with an average overall rating increasing from 2.8 stars to 4.5 stars during the sampling campaigns. All reviews gathered via the sampling program are attributed and badged as incentivized to ensure transparency to consumers and to inform their research. In addition, all participants are encouraged to submit a review, and those reviews are published regardless of the rating. We’re pleased with the increased review volume and higher ratings, because we know they have an impact on sales, says Deitzel. When you start with more reviews and higher-quality reviews, like we’ve been able to do with Bazaarvoice, you start seeing more people buy, which leads to more good reviews, which in turn generates more sales. Sampling also provides the company with an effective way to engage with and reward its best brand advocates and as a means for gathering valuable insights. By targeting demographic and interest parameters for each product, TTI can ensure that only the right consumers get each sample and that enough feedback is received to inform potential product changes, packaging and marketing message. TTI Floor Care had initially been reluctant to take on the overhead and staffing challenges of building and running a sampling program internally. To address this, the company leveraged Bazaarvoice’s managed services, which allows the company to reap the benefit of a sampling program without taking on a lot of extra effort. The sampling program comes standard with a team of Bazaarvoice business and technical consultants who takes care of every aspect of running all sampling programs, which includes setting up campaigns, building the sampling community, writing copy, ongoing optimization and reporting on key metrics. For us, Bazaarvoice’s managed services is like an outsourced employee team, says Deitzel. They take care of everything, and we’re very happy with the results. Based on the success of the Hoover and Dirt Devil sampling campaigns, the company later expanded the program to include the Oreck brand. Because review volume, especially at launch, is such an important driver of sales, the retailers who sell Hoover, Dirt Devil/Royal and Oreck products appreciate that Bazaarvoice can syndicate customer reviews to their websites. With the ability to syndicate reviews, not only are we influencing customers and potential customers who are on the brand pages looking for product information, we’re also helping the retailer, says Deitzel Review acquisition is just as critical to retailers as it is to us, and Bazaarvoice syndication helps with that tremendously. In one instance, a major retailer considered no longer accepting syndicated content of some TTI products because of a low average rating. By sending samples of those particular products to advocates, the ratings increased, which compelled the retailer to continue receiving the content. When it comes to retail sales, syndication plays a key role in both online and offline sales of floor care products. According to data across the entire Bazaarvoice network of brands and retailers, 62% of all those who purchase vacuums read reviews prior to making a purchase in a store. TTI’s own research confirmed these findings. It’s not just the sales organization that benefits from having more reviews and higher-quality reviews, says Deitzel. We’re able to share content from reviews with other departments across the organization that benefit from knowing what customers are thinking, what they like and what they don’t like. TTI’s customer support team also engages heavily with customers by responding to reviews and answering a majority of questions that are posted on retail partner sites. All the things that Bazaarvoice has guided us to do have had a tremendous impact, says Deitzel. Bazaarvoice Sampling is just the latest in a long success story that we’ve been writing together since 2012. TTI Floor Care North America owns Hoover, Dirt Devil/Royal and Oreck, three iconic brands with deep roots in the American floor care industry. The company is part of TTI, a worldwide industry giant. TTI is dedicated to developing innovative products and to building brand loyalty through customer satisfaction by providing customers with quality products. As we launch new products, its a no-brainer that for every product we launch, we get them into the Sampling program. Gathering reviews from a select group of consumers helps Gladiator brand quickly drive more volume on retail partner sites.